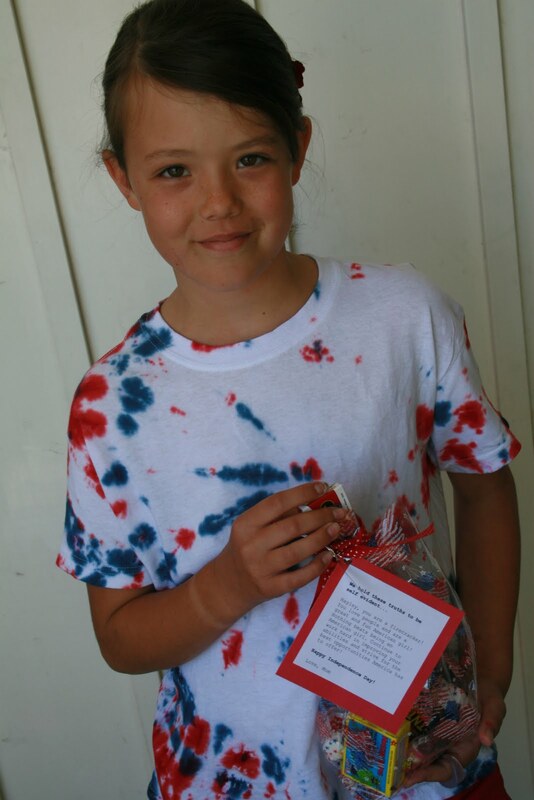 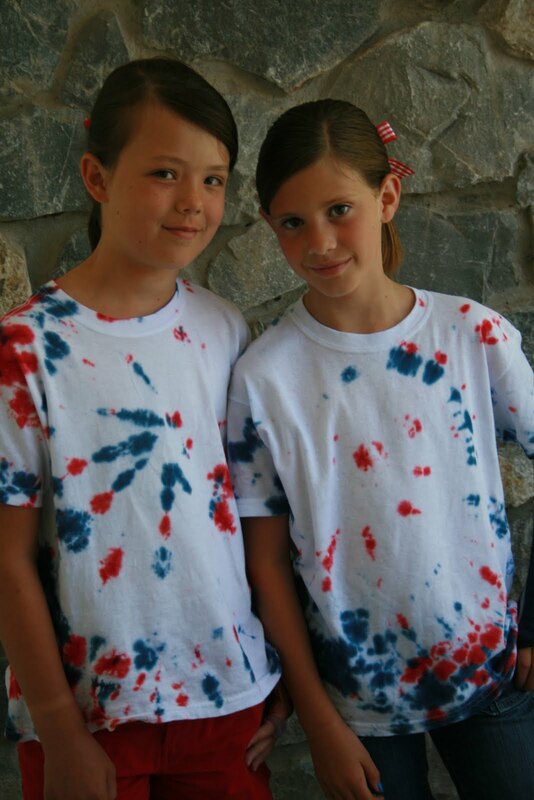 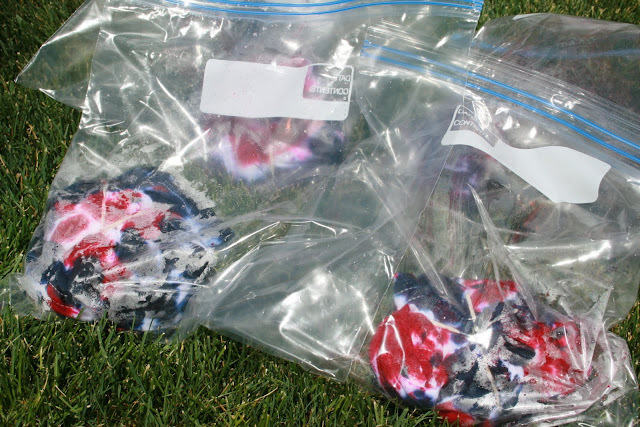 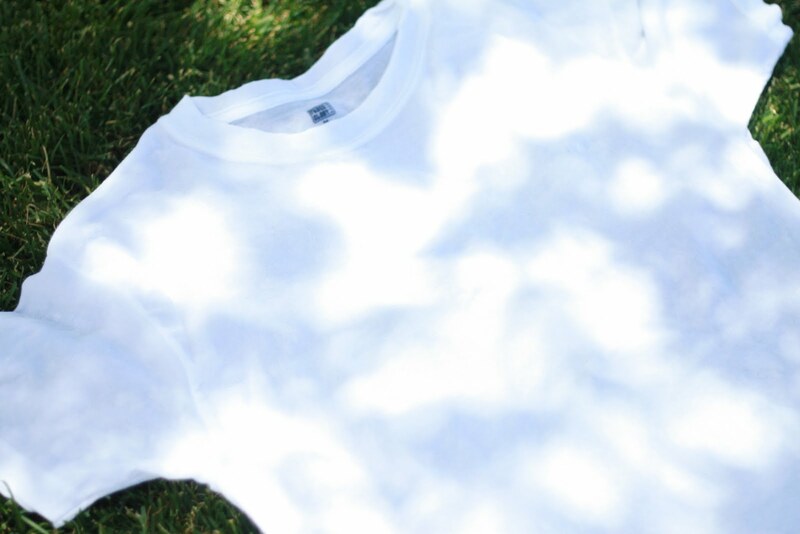 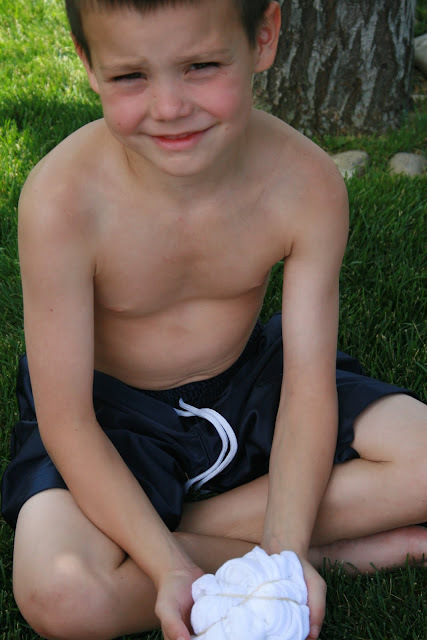 A fun idea for the Fourth of July is to make red, white, and blue tie-dyed t-shirts. We purchased a tie-dye kit, paint tray liners, and packages of men and boy's white t-shirts at a super store. 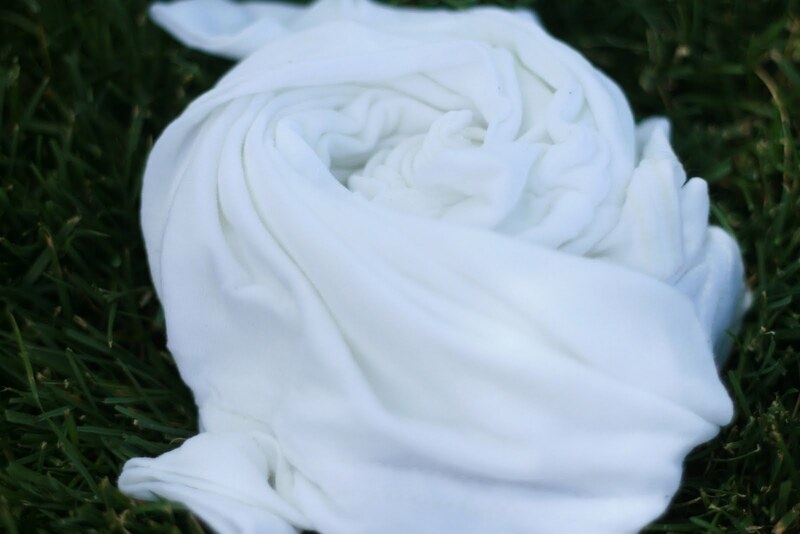 Since making tie-shirts are messy, its a good idea to do it outside on the lawn. 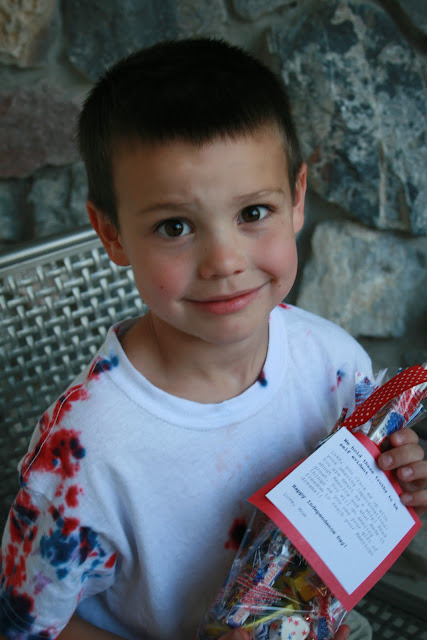 Follow package directions. One thing we would have done differently is put more dye onto the t-shirt! 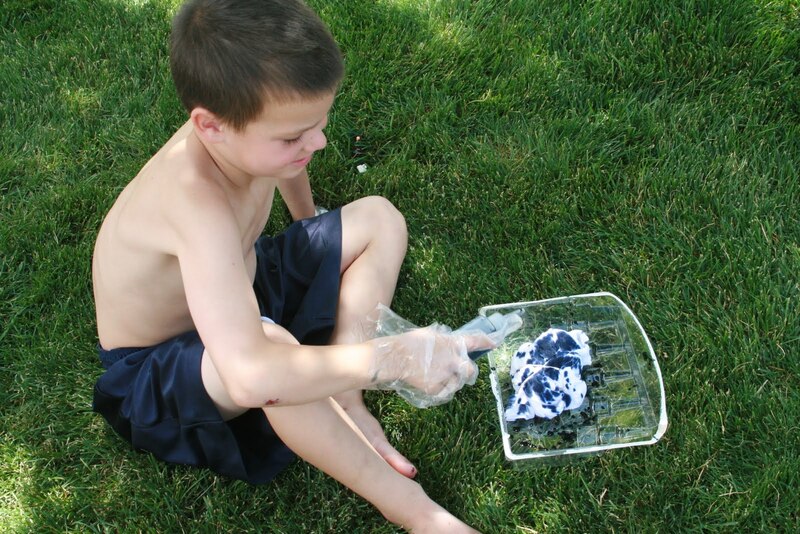 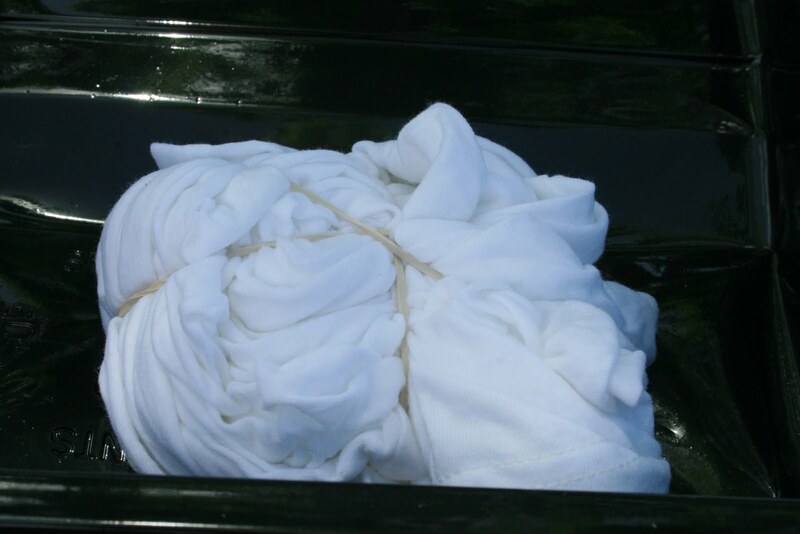 Make sure you wear gloves and have fun creating a holiday shirt to sport at the parade or fireworks show.